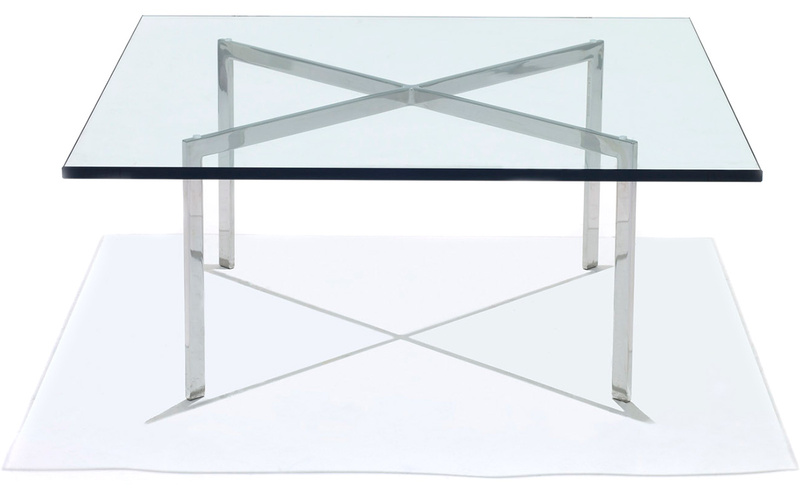 Created by Ludwig Mies van der Rohe for the German Pavilion at the 1929 Barcelona Exposition, the Barcelona table features the pure compositional structure that now epitomizes Modern architecture. 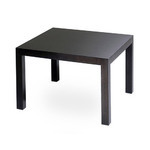 Each Barcelona table is a tribute to traditional craftsmanship and meticulous attention to detail. 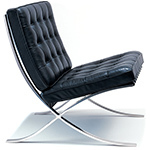 Knoll is the only authorized and licensed manufacturer of the Barcelona Collection since 1953. 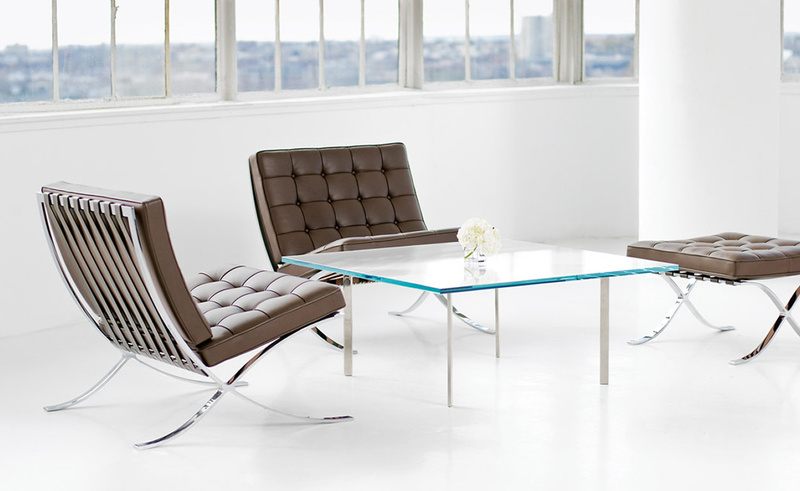 Mies van der Rohe's signature is stamped into the frame of each piece to guarantee authenticity. 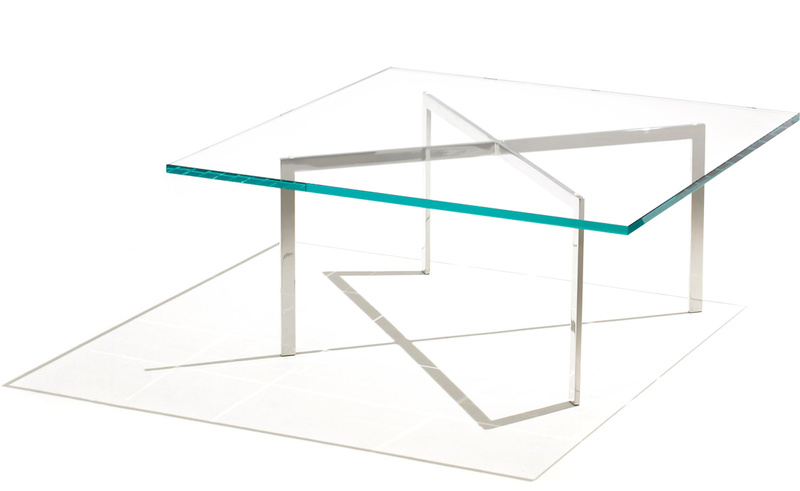 Knoll has received trademark protection for the designs created by Mies van der Rohe, a Barcelona table not manufactured by Knoll is a counterfeit. 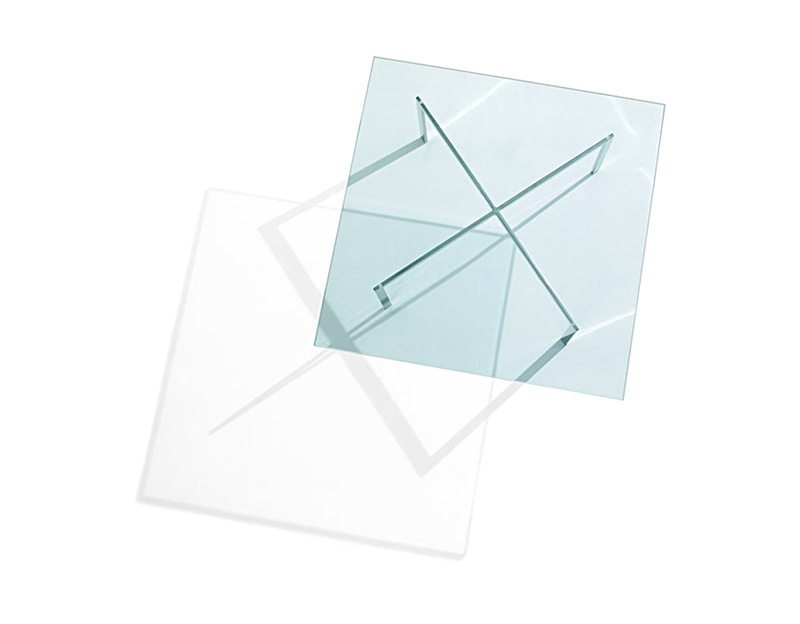 The Barcelona table top features a thick, clear polished plate glass with 1/8" beveled edge. Clear glass option has a slight green tint. Starphire glass has a low iron content, giving it a crystal quality, making it more clear and luminous than regular glass. 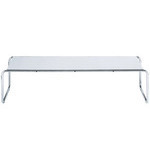 Base features premium grade 202 bar stock stainless steel or chromed. 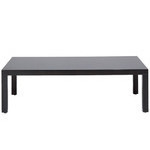 Single-piece base construction ensures long term durability. polished chromed: 40" w | 40" d | 18.5" h | 140 lbs. stainless steel: 40" w | 40" d | 17" h | 134 lbs. 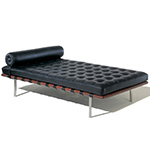 $1,974.00 + plus shipping in the continental U.S.
German-American Ludwig Mies van der Rohe (1886 – 1969) commonly known as Mies, is widely regarded as one of the pioneering masters of modern architecture, alongside Le Corbusier and Frank Lloyd Wright. He sought to establish a new architectural style that could represent modern times just as Classical and Gothic did for their own eras. His buildings made use of modern materials and he strived towards a minimal framework of structural order balanced against the implied freedom of free-flowing open space. He is often associated with the aphorisms "less is more" and "God is in the details". 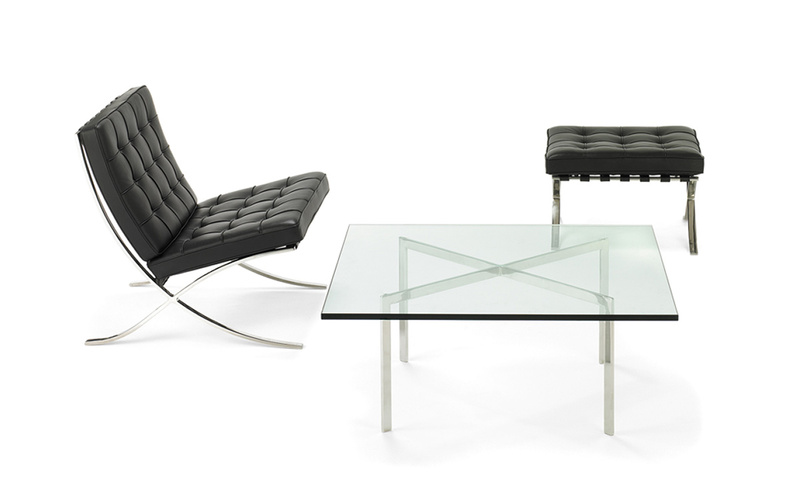 Mies designed pieces that have become popular classics, such as the Barcelona chair and table, the Brno chair, and the Tugendhat chair. 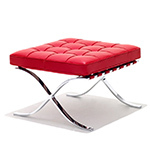 His furniture is known for fine craftsmanship, a mix of traditional luxurious fabrics, like leather, combined with modern chrome frames, and a distinct separation of the supporting structure and the supported surfaces, often employing cantilevers to enhance the feeling of lightness created by delicate structural frames. 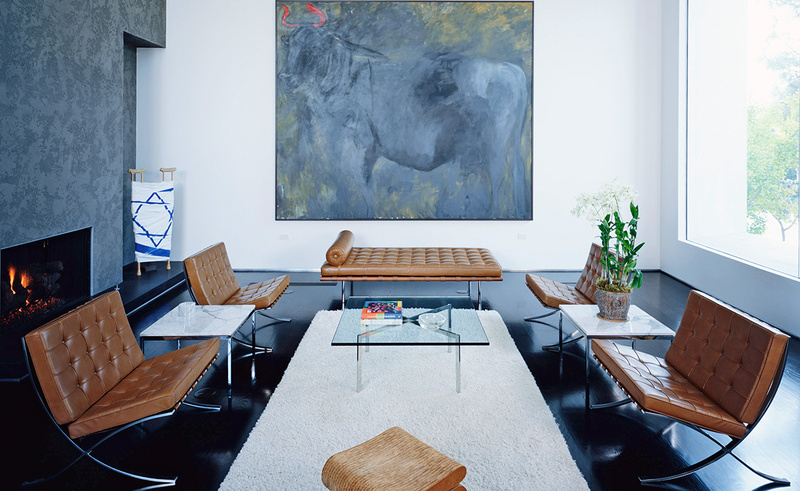 He collaborated closely with interior designer and companion Lilly Reich.